"It's GRE season, and what better way to prepare for the Verbal portion than to practice vocabulary words in the most natural and helpful way possible: through the context of a story. 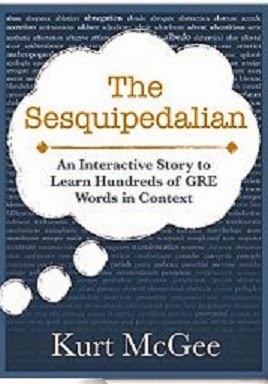 The Sesquipedalian is a short novella designed to present memorable scenarios with dense GRE-level vocabulary words in each sentence. Simply use your Kindle’s dictionary to scroll over any words that you are unfamiliar with. Buy now for yourself or your loved one who is preparing to take the most important test of their life."